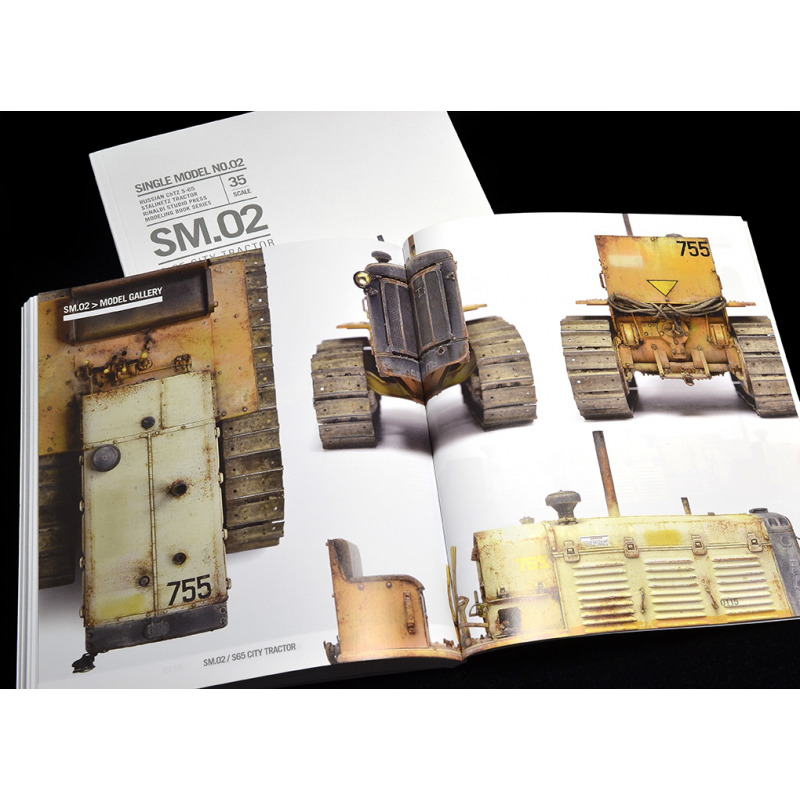 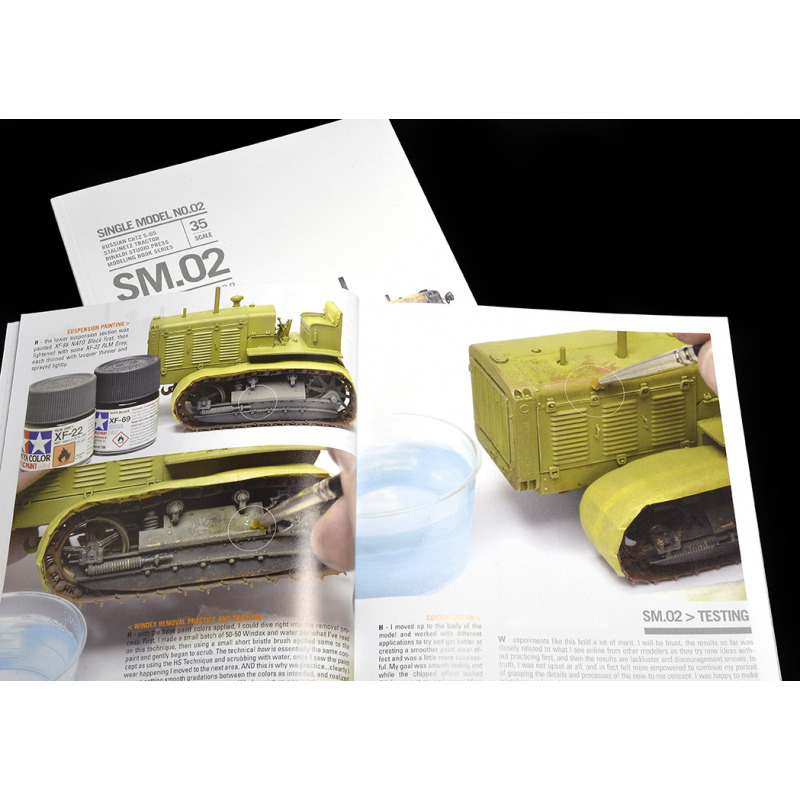 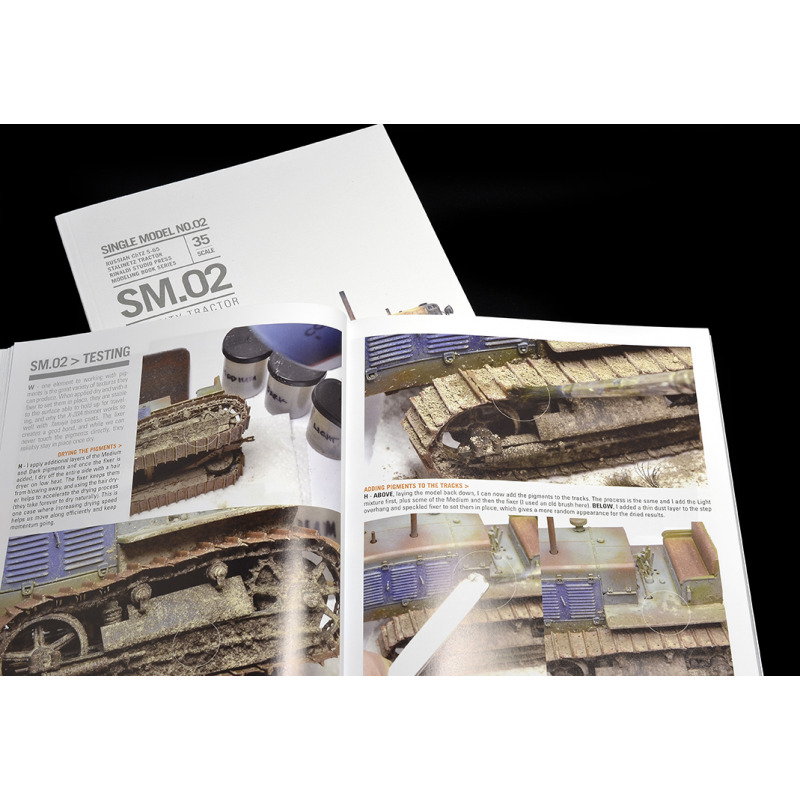 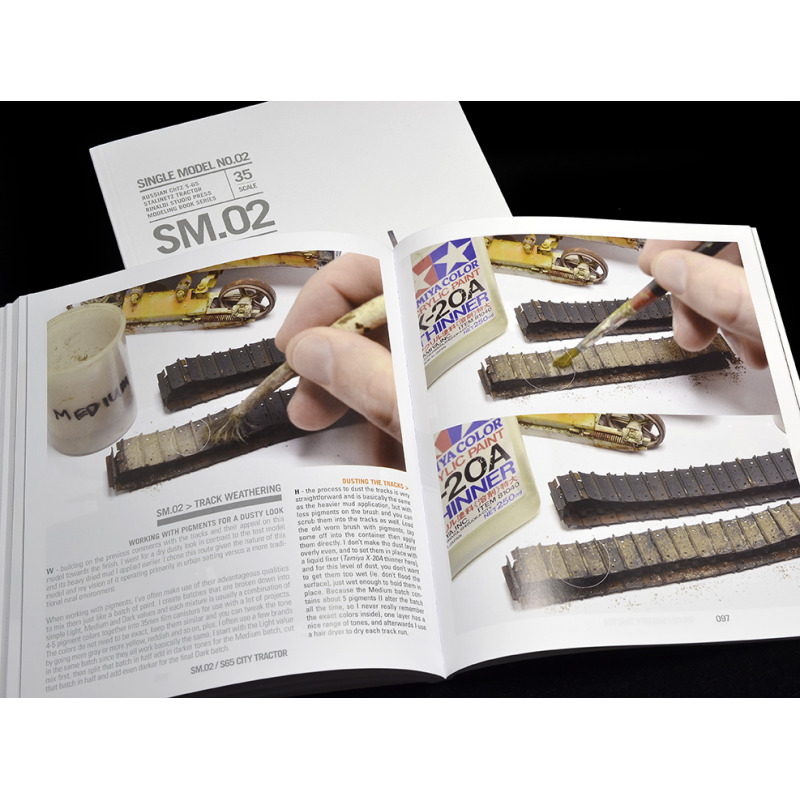 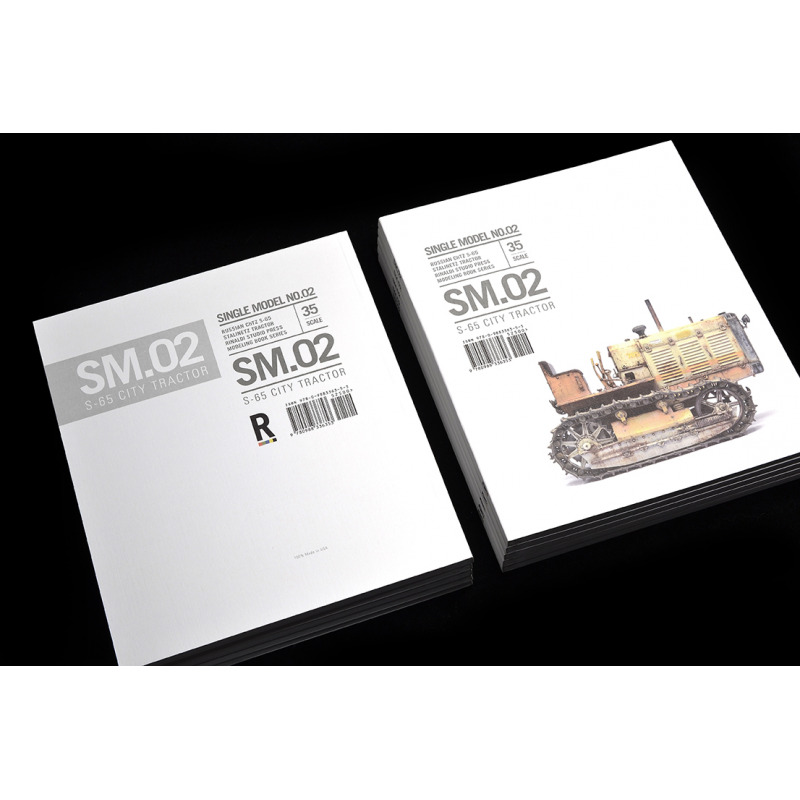 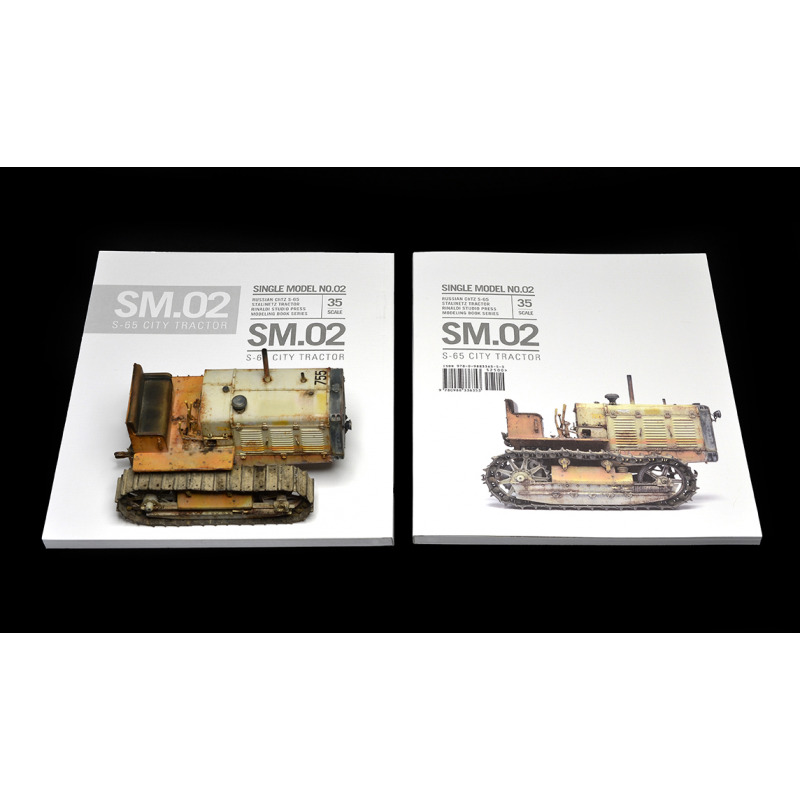 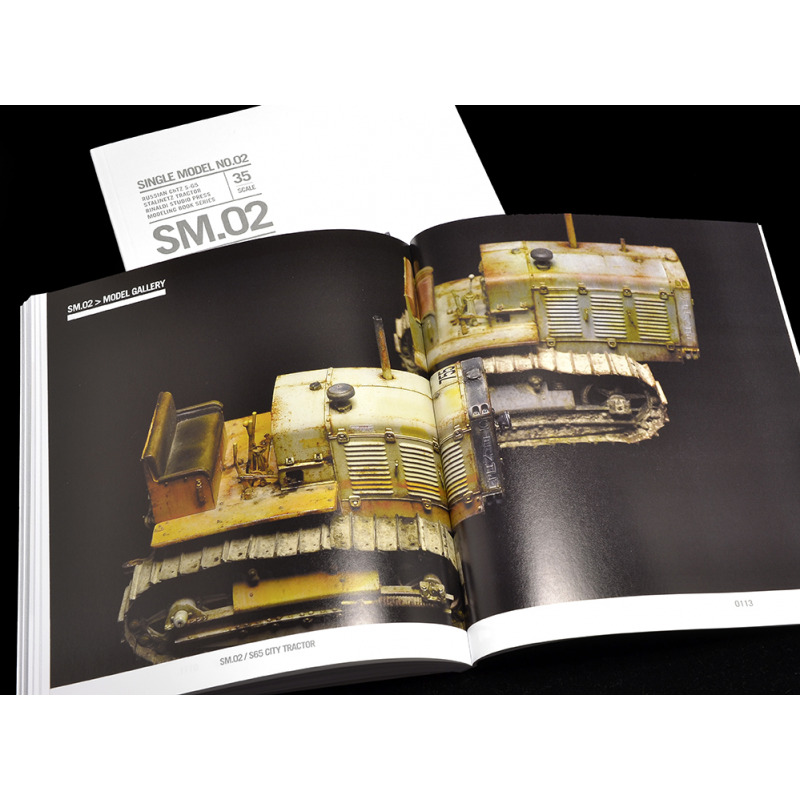 SM.02 features a civilian-based project created from the excellent 1/35 Trumpeter Stalinetz S-65 Russian Army tractor kit, with a finish that is designed to explore other realms of possibilities beyond military paint jobs. 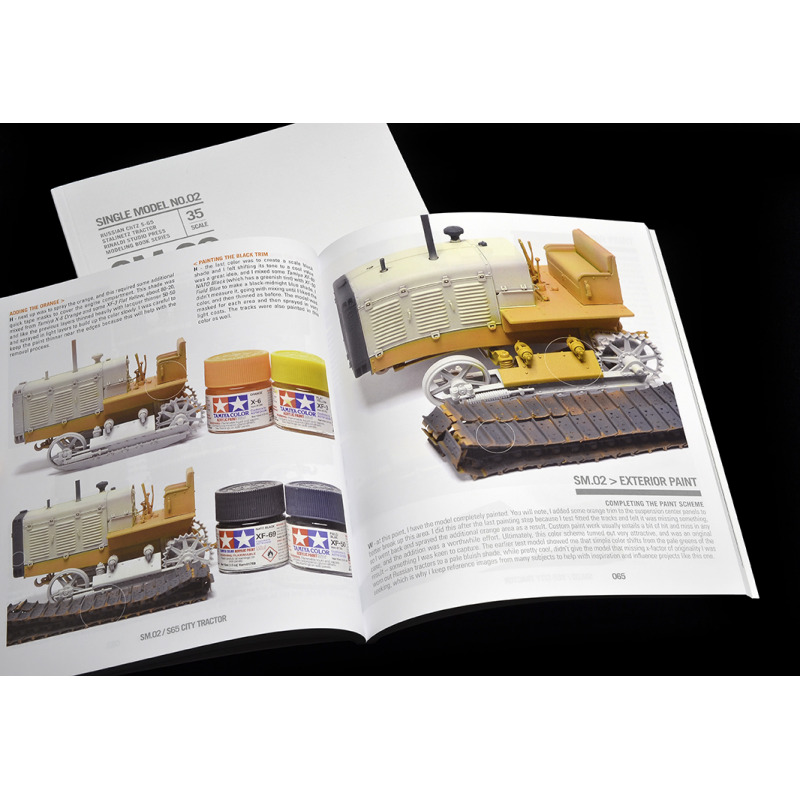 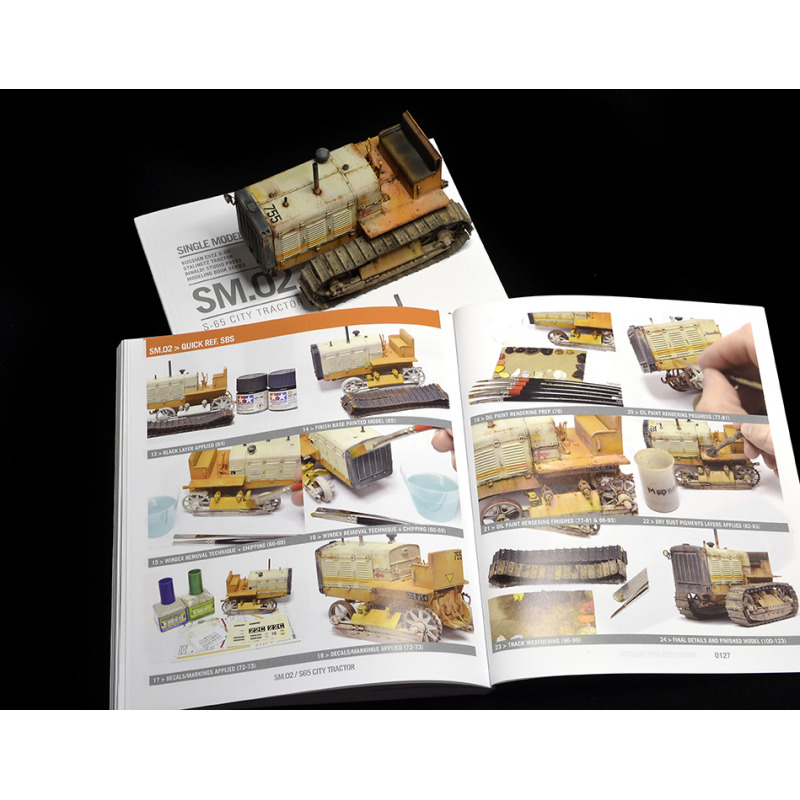 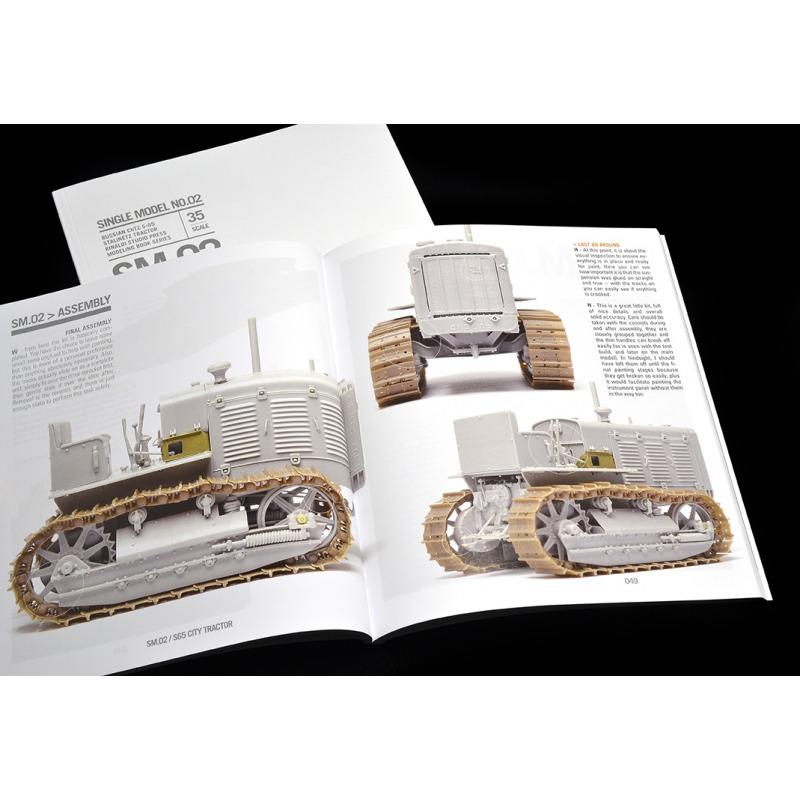 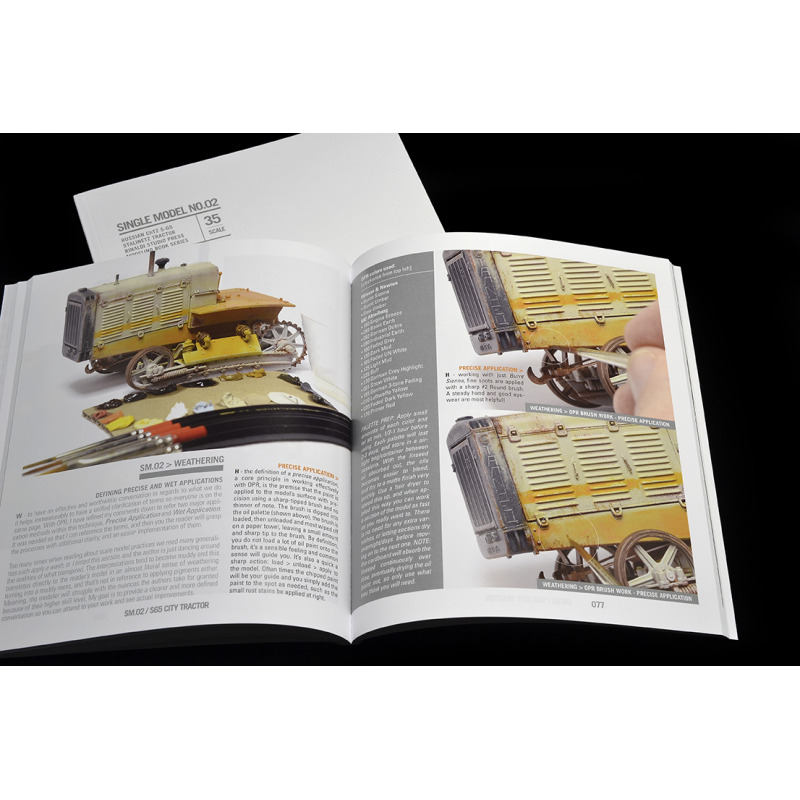 SM.02 S-65 Tractor (US ISBN 978-0-9883363-5-3) will feature a civilian-based project created from the excellent 1/35 Trumpeter Stalinetz S-65 Russian Army tractor kit, with a finish that is designed to explore other realms of possibilities beyond military paint jobs. 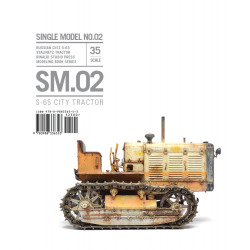 This model will illustrate how a city owned service tractor might have utilized this once military vehicle. 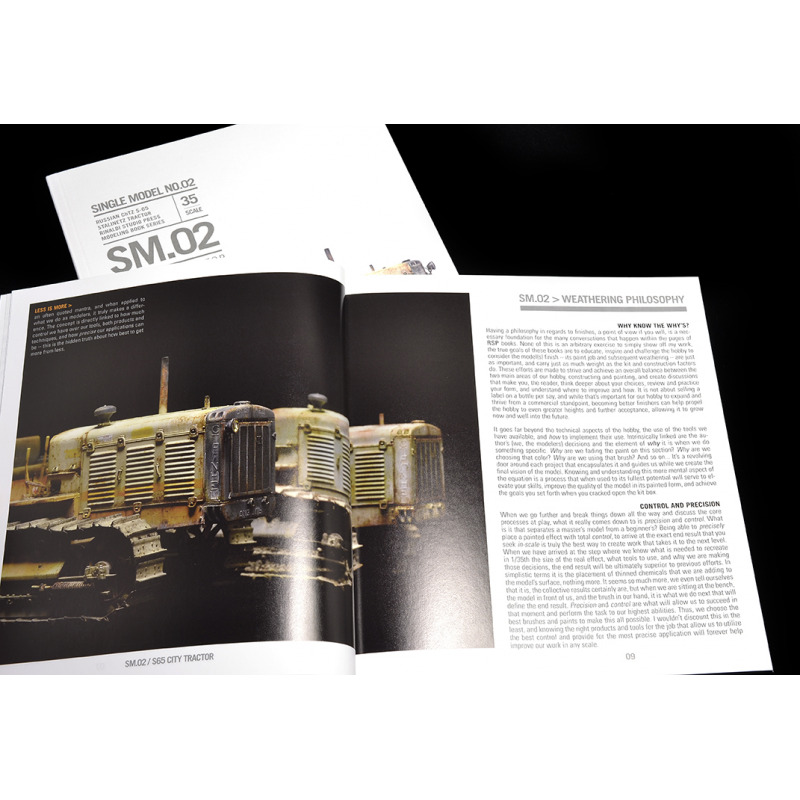 The painting and weathering is influenced by the many worn out vehicles seen in the Pacific Northwest. 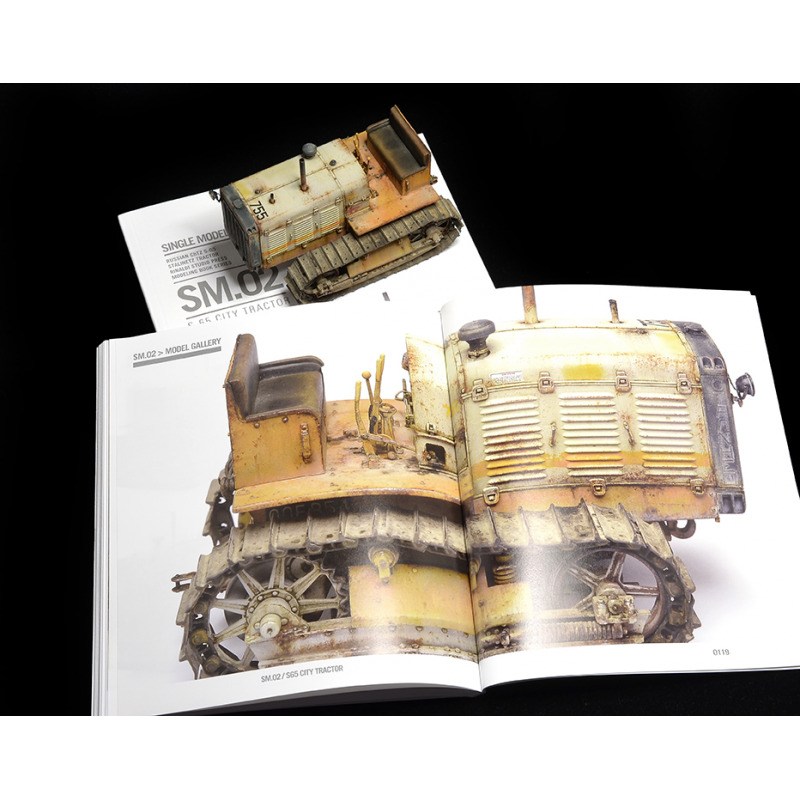 Inside also features a special added 2nd S-65 tractor model used to test out some of the techniques print to painting the main project. 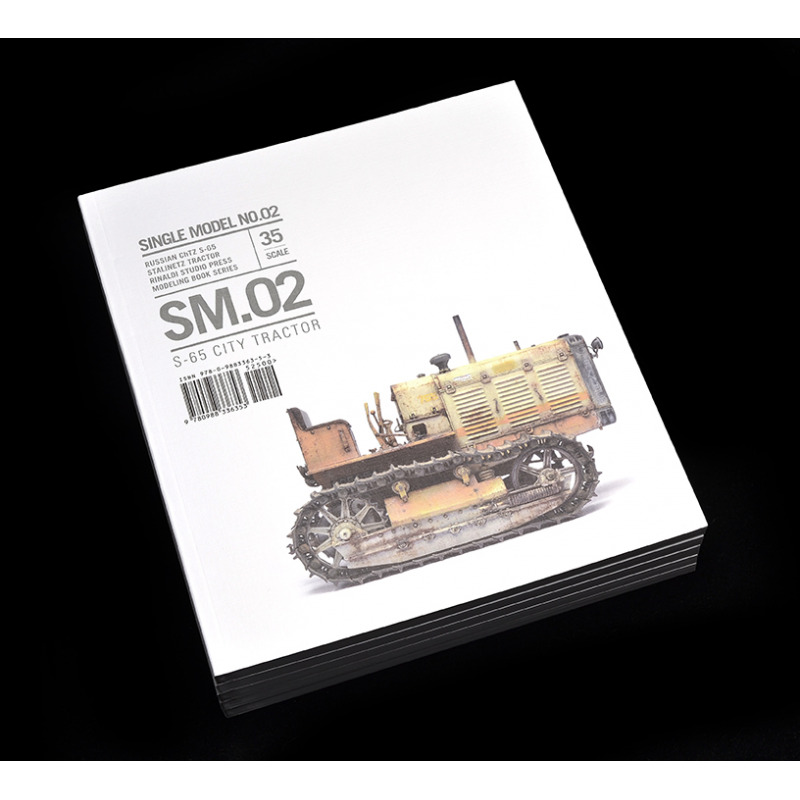 LIMITED EDITION printing (single print run only). 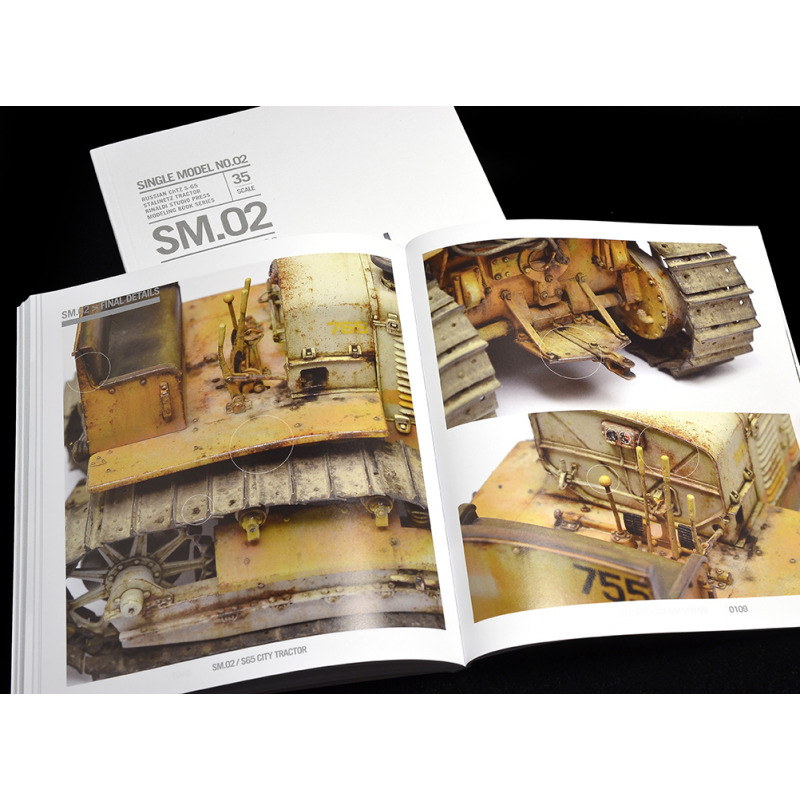 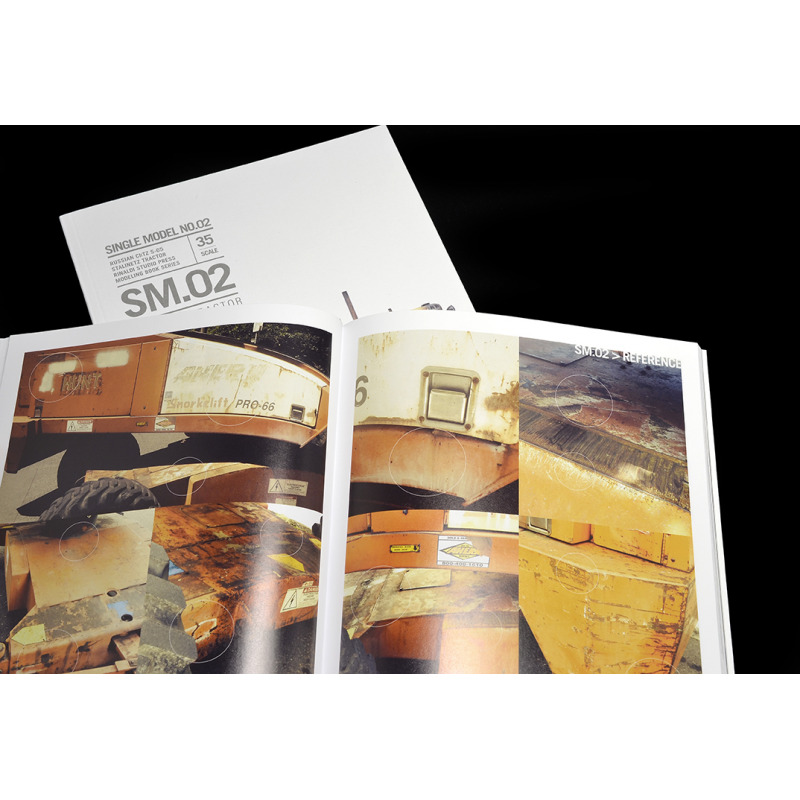 Expanded coverage +32 pages, now 128-pages with over 250 large h-res images used to illustrate this latest SM volume.